Lincoln Park recently received two new additions. 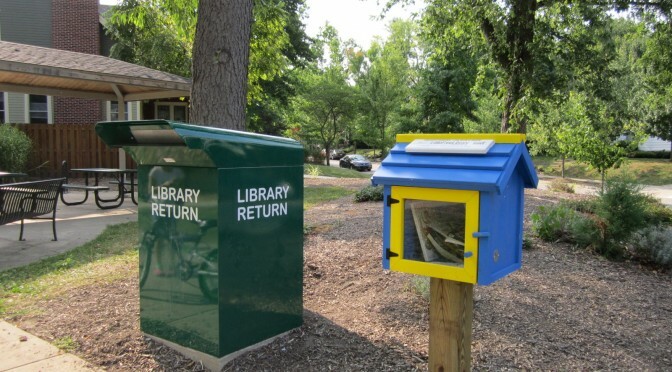 The West Lafayette Public Library has placed a book return at the park. This drop box can be used to return any WLPL material. The book return is now available for use and will receive a permanent West Lafayette library sign in the near future. Another new West Lafayette library drop box can be found at Lommel Park, located in the Barbarry Heights neighborhood. For any questions regarding the Lincoln and Lommel Park drop boxes contact the West Lafayette Public Library at 765-743-2261. Lincoln Park also now features a Little Free Library, adding to the many already in our neighborhood and around the city. This free book exchange is available to all. 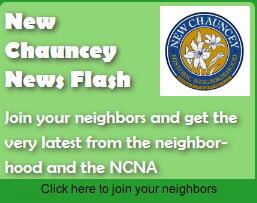 The other two in New Chauncey are on Rose St. near the Happy Hollow Park entrance and in front of New Chauncey Housing on Littleton St.